As a follow up to our story on Sinn’s participation in the Hamburg-Berlin-Klassik rally, Sinn Spezialuhren and the Paul Parey magazine publishing house have joined forces to develop a high quality mechanical hunting watch. With a dark hunter green dial, the timepiece is an attractive chronograph specially designed to meet the specific requirements of hunters. The hunting watch is being launched in a limited edition of just 100 pieces on October 2012 and will be sold exclusively via a website set up by Paul Parey (www.jagduhr.com). A timepiece is an essential part of a hunter’s equipment, carrying the same importance as the rifle, binoculars and clothing. The watch developed by Sinn Spezialuhren and Paul Parey Verlag has been specially designed for heavy duty use while hunting, displaying outstanding reliability, extreme resilience and a high degree of functionality - in all weather and light conditions. Ar Dehumidifying Technology ensures that the glass remains free from fogging and that the movement retains its accuracy. 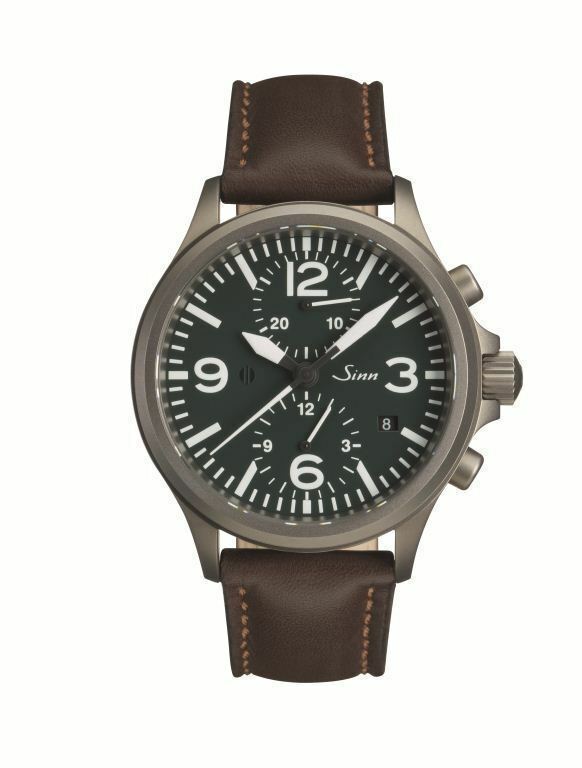 The temperature resistance technology in combination with SINN special oil 66-228 ensures reliable running of the watch within a temperature range of -45°C to +80°C. The case, made of bead-blasted stainless steel, is especially scratch-resistant thanks to TEGIMENT technology and is largely non-reflective. The strikingly designed luminous numerals and indices of the hunting watch make it easy to read even in half-light and fast descending darkness. The silicone strap is also easy to clean and washes up beautifully for those more formal occasions.